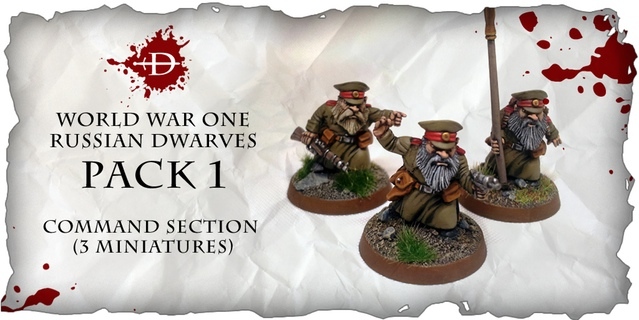 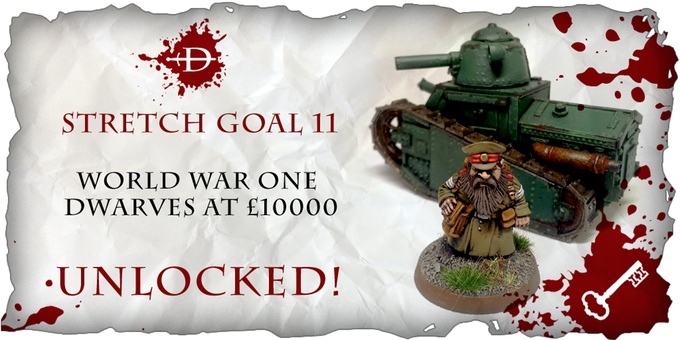 The WWI Dwarves have been unlocked and they are working their way to the Spartan Dwarves, then its onto the Persian Immortal Dwarves! 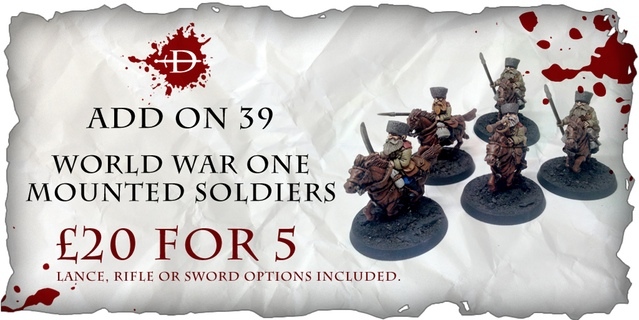 1) Command group - 3 minis. 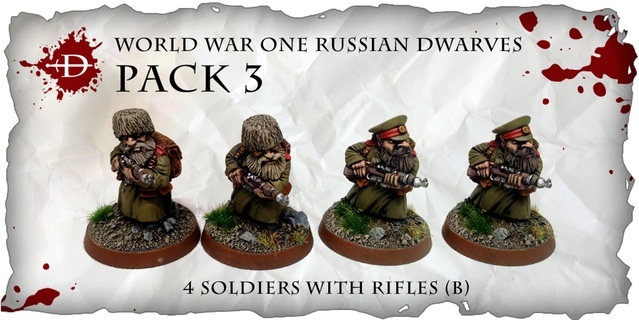 2) Soldiers with rifles #1 - 4 minis. 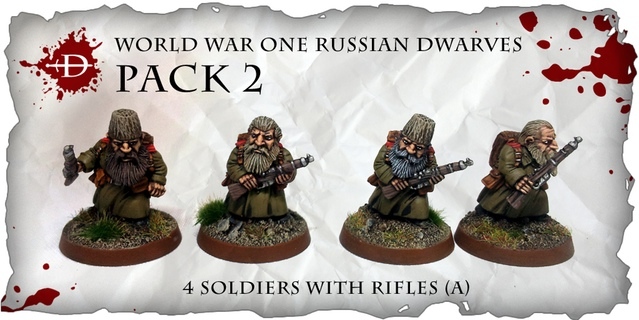 3) Soldiers with rifles #2 - 4 minis. 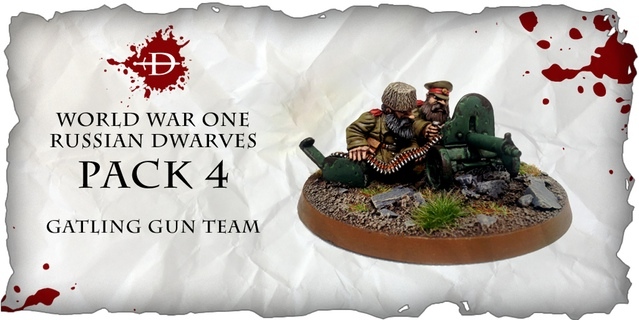 4) Gatling gun team - 2 minis and gun. 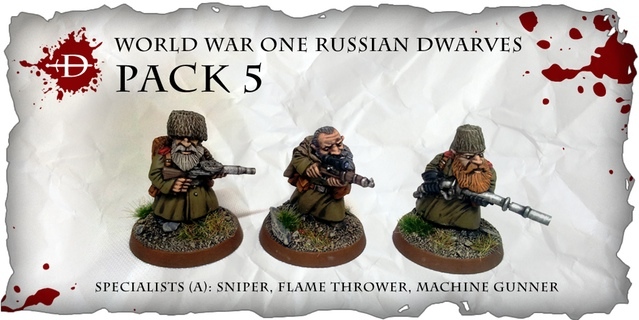 5) Specialist #1 - 3 minis. 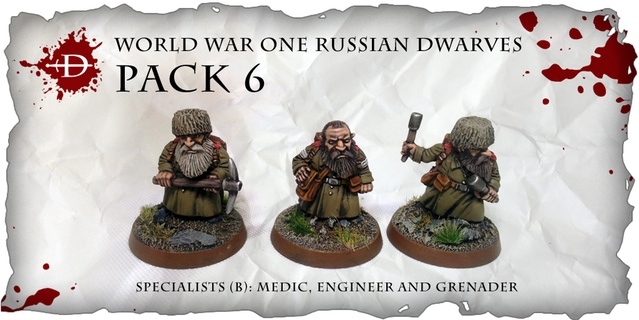 6)Specialist #2 - 3 minis. 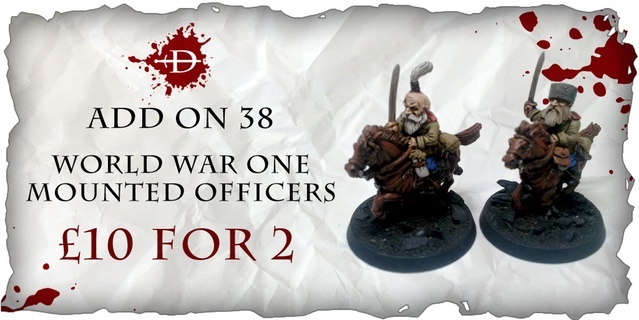 Also mounted WWI troops have been added to the selection of add-ons on offer.